Opulent. Majestic. Elegant. That’s the buzz around Portland’s newest hotel. High ceilings and brass accents add to the grandeur, but its future occupants are too busy to notice. Introducing The Ambassador Bee & Bee. A hotel…for bees. 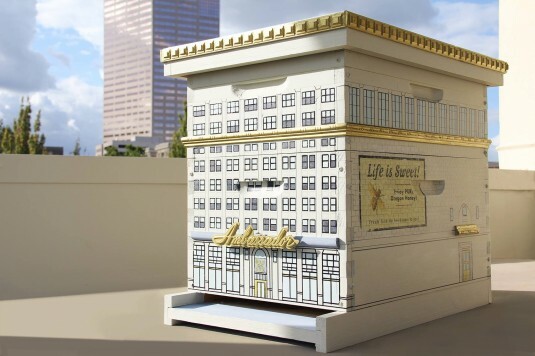 The Ambassador Bee & Bee, created here at Magneto, is a working beehive designed specifically for the WeMake “Put a Bird In It” birdhouse auction and fundraiser for the arts. The annual auction benefits arts and music education as part of Design Week Portland. 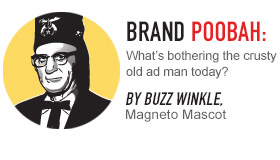 The impetus for Magneto’s participation in this year’s event was when a friend of principal Craig Opfer gifted him a birdhouse purchased from the auction 2 years ago. Craig coincidentally met Yvonne Perez Emerson, Co-founder and Director of WeMake over the summer. After a chat about beekeeping with Yvonne, Craig decided to stretch the guidelines slightly with a beehive entry. The result is the fabulous Ambassador! We have seen most of the entries to this year’s auction and they are terrific. Come hang out with us and bid on a birdhouse (or bee hotel) at the WeMake “Put a Bird In It” auction, Friday, October 10 at the LeftBank Annex. Andrew Dickson will be the live auctioneer. Official details and formal invitation found here! Learn more about beehives and beekeeping with Bee Thinking!